SUN Dong-yeol (Yang) of the Haitai Tigers and CHOI Dong-won (Cho) of the Lotte Giants were far and away the greatest Korean Baseball Organization (KBO) pitchers of their generation. Over his career Sun collected three Most Valuable Player (MVP) awards and helped the Tigers to six KBO championships. CHOI became the first pitcher ever to win four games in a seven game play-off series, with the Giants taking the 1984 KBO championship. In 1987, the two faced off against each other for the third and final time in their careers. The game lasted an incredible 15 innings, ending in a tie with both pitchers remarkably throwing a complete game. The personal rivalry and human drama between these individuals in this marathon game is unparalleled in the history Korean sports. 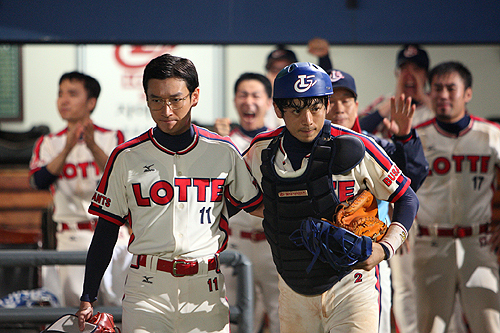 Park Hee-gon wrote and directed<Perfect Game>. He also wrote and directed the art heist thriller <Insadong Scandal> which tallied over 1 million admissions at the Korean box office in 2009.